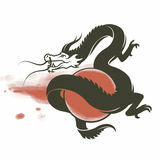 O UR M I SS I ON Dragons works with schools and universities to develop programs and learning environments that promote deep, transformative engagement with the world. We are committed to expanding the number of organizations that foster cross-cultural leadership for a more tolerant and inclusive global community. Our partnerships build capacity, not dependency. This calls for active collaboration, feedback, listening, and honesty. Throughout the process, we seek to align our incentives with your objectives, and work together to deepen and enhance global education at your institution. O UR SE RVIC E S Customized to meet your goals as an organization, our services include a combination of consulting, training, and collaborative program development. No matter the scope, we view every partnership as an investment in the long-term success of your institution. ollege graduates entering the global workforce. global affairs and profound personal growth. set students up for maximum learning. 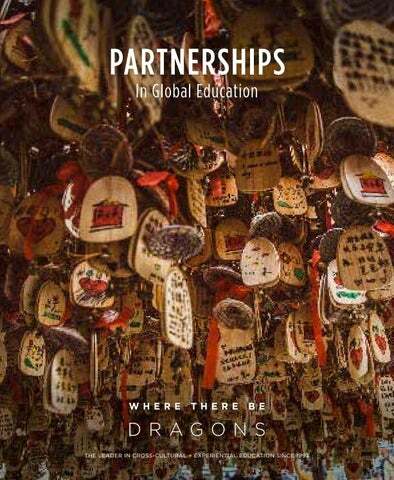 COLLABORATI VE PROGRAM DESI GN P ROC E SS Dragons works alongside partners to create programs that foster leadership, social entrepreneurship, empathetic learning, and communication skills. your institution’s mission and culture. identify the components of most importance to your institution’s learning goals. abroad, both personally and intellectually. students toward learning and growth. WWW.WHERETHEREBEDRAGONS.COM/PARTNERS Certified B Corporations are businesses that meet the highest standards of verified accountability, transparency, and social and environmental performance.